This week we will be starting a new series at The Well. I'm really excited about it. 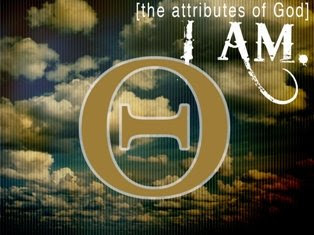 Ryan will be teaching on the attributes of God. I just finished reading "The Knowledge of the Holy", so I'm anxious to see how the ideas I learned from Tozer will all tie together. This series will also give me my first opportunity to teach at The Well. I feel a mixture of emotions. I'm really excited, but at the same time I'm absolutely terrified. If you've ever heard Ryan preach, you know he's a tough act to follow. But, as I've been processing through it, I've realized that the Lord has given me a great opportunity to learn from a really gifted teacher so I look forward to the challenge. Today we went on Palomar's campus with a video camera and interviewed random students. We asked them two simple questions: Do you believe in God? and What are some words you would use to describe Him? It was amazing to see how many students professed a belief in God, but how few of them could describe Him beyond the surface answers like loving, powerful, there for me, etc. While all these descriptors are true, they left me with a desire to help students develop a more personal idea of who God is.